A good system cleaner can help your car run further and keep your engine in prime condition. That’s why we’re excited to try out the Redex System Cleaner. We received 3 months’ worth of Redex to test out, which we’ll be using on a 2.2 litre Diesel Range Rover Evoque. Redex System Cleaner – How Does it Work? Just as you wouldn’t leave your car interior or bodywork dirty for months on end, you shouldn’t take liberties with your engine. Fuel economy can be reduced by the deposits which build up on your fuel injectors during combustion. This is a result of the varying fuel qualities available in the UK and the amount of additives they contain. The resulting build-up means that you’ll be paying more for fuel, as your injectors won’t be working as efficiently as they should. Redex System Cleaner eradicates this deposit build-up. Regular use will keep the injectors in their best working condition, and save you money when driving. 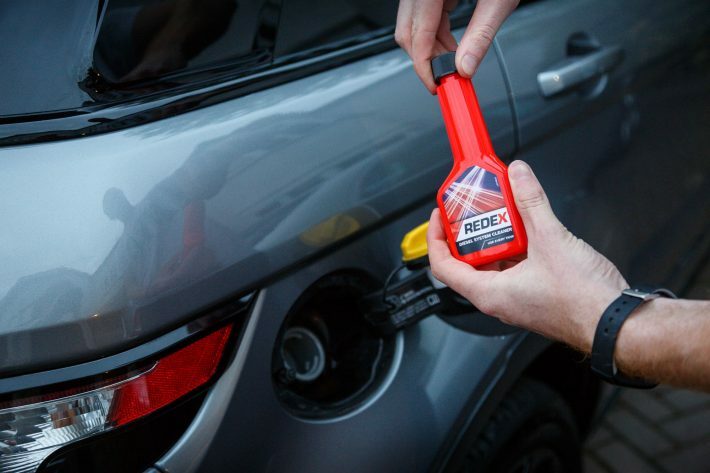 We’ll be adding Redex to our Evoque every time we buy fuel for 3 months, and posting updates about how it’s working throughout. Redex offers a premium brand solution to improve fuel economy. The cleaner, available for both petrol and diesel cars, promises to keep both your fuel consumption and emissions low. 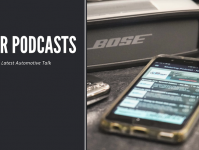 This means the product is not only great for your car, but great for the environment too. The benefits extend beyond saving you money on fuel, though. 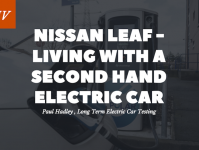 This reduction of harmful emissions could mean your vehicle is a step closer to passing its MOT, meaning even less money spent on repairs to make it roadworthy. 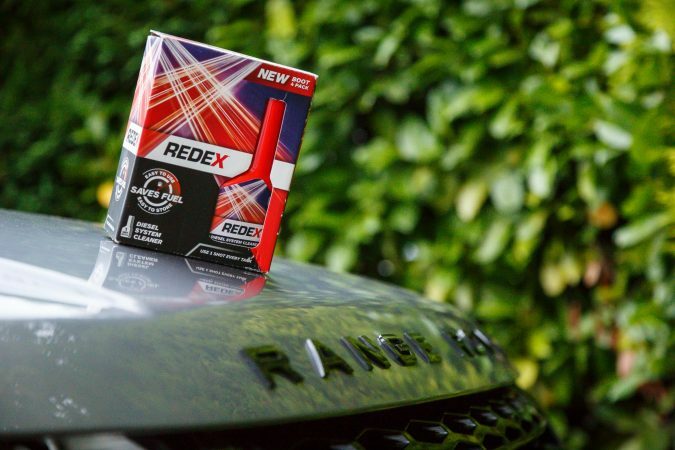 Redex System Cleaner will improve engine life and restore the best possible performance to your vehicle. It means cars can drive further on their fuel, and give you a healthy car on the inside. 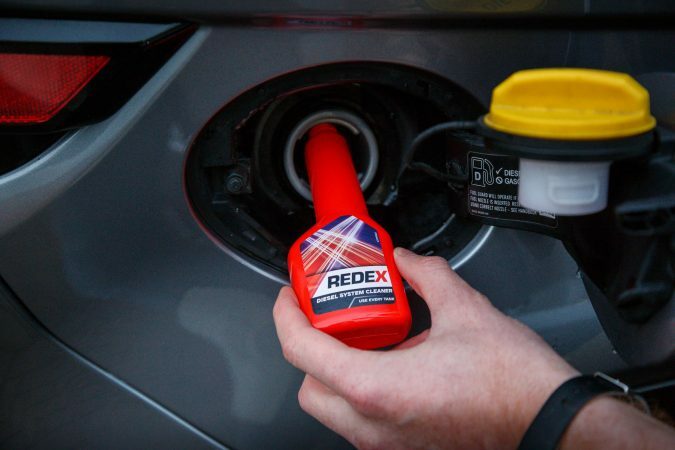 Better yet, Redex is the number 1 market leader in UK fuel additives. Redex doesn’t stop at petrol and diesel cars. The system cleaner is also available for hybrid vehicles, which burn similarly to petrol engines in terms of injector build-up. 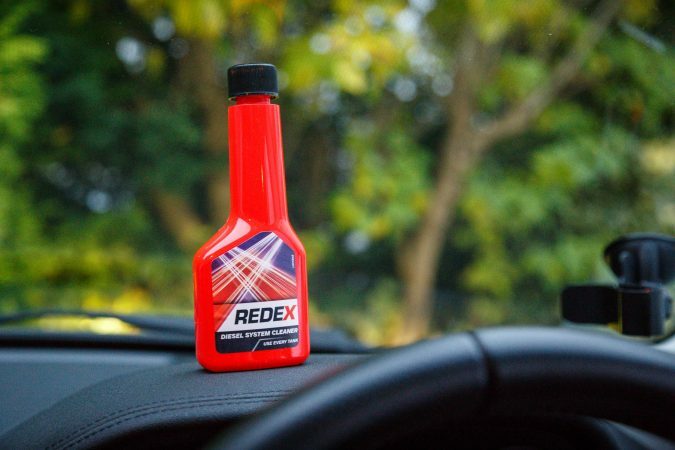 Additionally, Redex offer a range of other products, from Adblue, which helps reduce diesel car emissions by up to 80%, to Lead Replacement. The latter means you can use unleaded petrol in leaded cars, especially classic vehicles, so the engine receives the additives it needs. 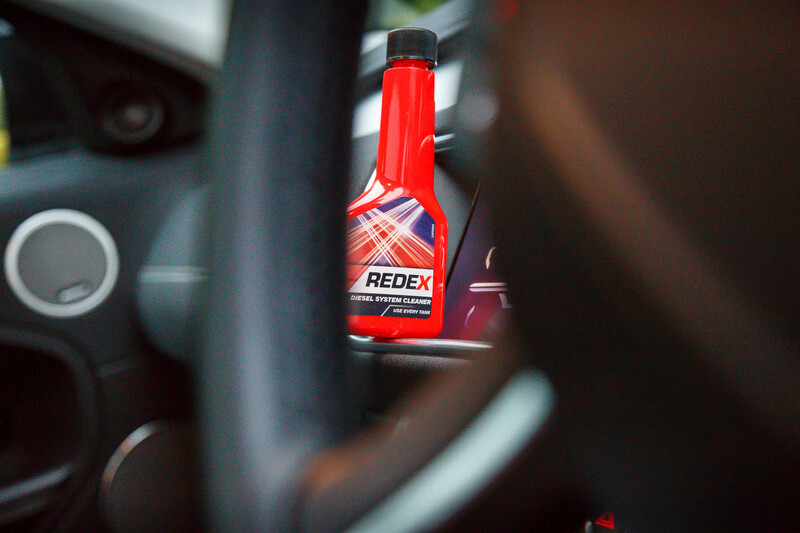 Using unleaded petrol in a leaded engine can inevitably lead to major problems – Redex eliminates that threat. Redex System Cleaner is really simple to use. Just add 90ml of the cleaner to your fuel tank every time you refill the tank. If you haven’t used any fuel additives in a while, it’s a good idea to first add a double dose (180ml). This will clean the engine thoroughly before regular use. 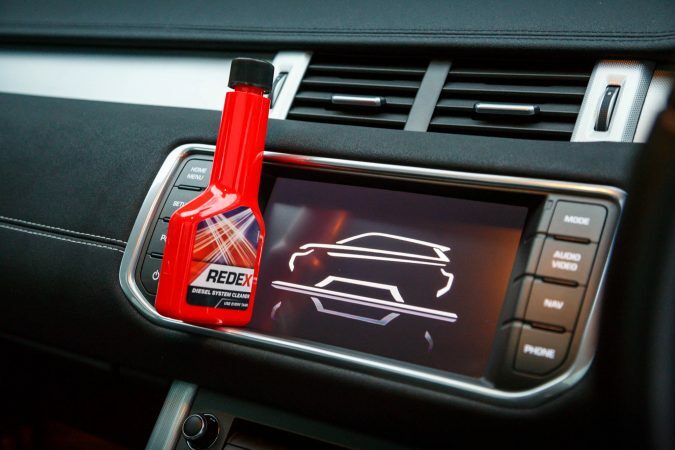 We’re excited to see the results of Redex System Cleaner on our Evoque. Remember to check back for our updates and review!